For more family-friendly travel ideas, go to the Parenting in New York City Page. By Larry Lain New York City is simply the most dynamic and cosmopolitan city on Earth. To visit New York is to travel the world, experiencing the authentic cultures and cuisines of every nation. What easier way to show your children the world than on a cruise that stops at every imaginable port on the globe-without ever leaving New York Harbor. Add to this the fabulous entertainment, the renowned museums, the eye-popping skyline vistas, and the single most incredible city park ever built. Who can resist? New York City for Families is for everyone who's ever wanted to be a New Yorker-whether they're twenty miles away in New Jersey or around the world in Australia. This book includes everything your family needs to know to be something more than just tourists-how, in short, to become temporary New Yorkers, with all the confidence and savvy of the natives. All you'll lack is the accent. Explode the myth of New York as an unfriendly, unsafe city. As with the "must-have" (Independent Publisher) London for Families, New York for Families is packed with all the information you'll need to plan a vacation that's fun for everyone-from the dad who's afraid of heights to the 4-year-old who can't believe you're not allowed to stand on the Statue of Liberty's torch. By Judith Mahoney Pasternak Organized by age group, this guide to the hottest and most-talked-about places in the Big Apple includes information about kid-friendly hotels and restaurants, rest stops and restrooms along the way, and attractions most interesting to parents and children alike. Itineraries for easily navigated trips through the city include The Big Four (the Empire State Building, the Statue of Liberty, the Museum of Natural History, and the Museum of Modern Art), smaller neighborhood trips, advice on age appropriateness, and activity difficulty level ranking. Subway tips, listings of free events, and easy-to-read maps are also included. By Christopher Maynard For kids who know where they're going! An exciting new series of travel guides to help kids make the most of that special trip. Dorling Kindersley's Travel Guides are an unparalleled publishing success. Now, with Kids' Travel Guides, the "guides that show you what other guides only tell you" come to a new generation! Developed especially for children, these colorful guidebooks are bursting with everything the globe-trotting youngster needs to make the most of that special trip. These one-of-a-kind guides are invaluable resources for grown-ups traveling with kids too. In this great guide to New York for kids, major sites are listed accompanied by beautiful color pictures and important facts relating to each site. Maynard even provides information about how to get ready for a trip to New York and what you need to bring, such as a map, backpack, camera, quarters for public pay phones and comfortable walking shoes. A calendar of annual special events is included. So, if you are in New York on the first Sunday in June, you can attend the Puerto Rican Day parade. Included are museums, zoos, rainy day activities, parks, gardens, famous buildings and interesting neighborhoods. By Christine Diamond & Andrea Moriarty Written for resident and tourist parents, this definitive guide lists the best of what to do, see, buy, and eat with kids in New York City. Listings include where to shop from discount to designer, the most family-friendly restaurants, the top children's parties and family benefits, the best children's classes, and children's theater, concerts, events, and films. It provides suggestions for rainy-day activities, day trips within an hour of the city, and outdoor activities from rock climbing at Chelsea piers to the best parks, gardens, and playgrounds. Also included is a special "New York Confidential" section full of insider secrets and tips. By Mindy Bailin Each book focuses on 68 terrific ideas for family days, from museums and puppet theaters to skyscrapers and parks. Written by parents who live in the cities they cover, these books are smart about what kids like--and about what parents need. All the details for planning are included: addresses, phone numbers, admission prices, and age-appropriateness. "Hey, Kids!" info boxes provide fun facts and interesting trivia about the destination, and "Kid-Friendly Eats" features recommend three or four places to grab a bite to eat nearby. Fun to read and easy to use, these handy little guides make it easy to plan an enjoyable, hassle-free day with children in the world's most popular cities. They're perfect idea books for every city parent and grandparent, and indispensable aids for families on vacation. By Ellen R. Shapiro New York City is a heckuva town, and no better place exists for a family vacation. This cultural mecca is full of fun, educational, and unique family experiences that create the memories of a lifetime for parents and children alike. Written by a New York City expert, this detailed book is your personal tour guide to a New York City vacation with kids�whether you're a visitor or a resident! Inside are countless tips from New Yorkers themselves, lists of fabulous activities for children of all ages, and easy-to-read maps and information so you can get where you need to go�economically, safely, and in a New York minute. Comprehensive and full of exciting secrets about one of the greatest cities in the world, this bird's-eye view of New York City has everything your family needs for a safe and exciting visit to the Big Apple. By Allan Ishac From the author of New York's 50 Best Places to Find Peace and Quiet comes the ultimate guide to guaranteed good-time spots for kids in New York City. From Abracadabra, the store known as the Halloween capitol of the city, to Winnie-the-Pooh at the Donnell Library, Ishac lists dozens of kid-tested sights for sports, arts, science and just plain fun. This completely revised second edition has many new entries. This is the ultimate guidebook for parents, grandparents, tourists, and teachers looking for a guaranteed good time for kids ages 2-12. "Sure there are other guidebooks, but Ishac's features unusual spots...it veers off the beaten path...noting the very coolest part of each site," wrote the New York Daily News. You even get 10 bonus locations--just for fun! You will no longer have any excuse for being bored on a rainy day (or a sunny day either!) I recently took my 5 year old to the Statue of Liberty and Ellis Island without first checking to see what information this book offered. BAD MOVE! My son was tired of waiting on the long lines, bored with static exhibits, hungry, hot, etc. If I had checked with New York's 50 Best Places to Take Children I would have found out that there is a 90 minute tour boat that goes past the Statue of Liberty. My son would have seen the statue without the long, tiring lines to wait on just to go to the top of the pedestal (we weren't early enough to go to the crown). Mr. Ishac has captured the best attractions the big apple has to offer a child from the kid's point of view. The book is small enough to carry in a pocket while acting like a tourist; even if you have lived in NY all of your life like I have. Included in the featured attractions are the usual favorites such as the American Museum of Natural History and the Empire State building plus some unusual and obscure spots such as the Chinatown Ice Cream Factory. Now I just have to try and find the time to visit all of these great places. By Alfred Gingold and Helen Rogan Cool parents Gingold and Rogan "offer tantalizing details on stuff you can't find in other guide books" said New York Magazine and the New York Times raved that the activities offered "are chosen as much for the pleasure of the parents as for the children." This completely revised third edition has many new entries. By Ephemera Press Lower Manhattan: A History Map tells the story of New York City�s oldest neighborhood, from the arrival of Giovanni da Verrazano in New York Harbor in 1524 through the destruction of the World Trade Center on September 11, 2001. With illustrations of landmark buildings, historic figures and major events by artist Tony Millionaire, the full-color map makes a beautiful poster worthy of framing. The back of the map contains the itinerary for a complete walking tour of the historic sites of Lower Manhattan. Designed for scholars, tourists, students, and city buffs, the map provides a perfect introduction to New York City and its history. Lower Manhattan has known loss -- The Great Fire of 1835 almost obliterated the district. Ten years later, a second fire destroyed most of what survived or was rebuilt after the first inferno. In 2001, the neighborhood was jolted by the destruction of the World Trade Center. 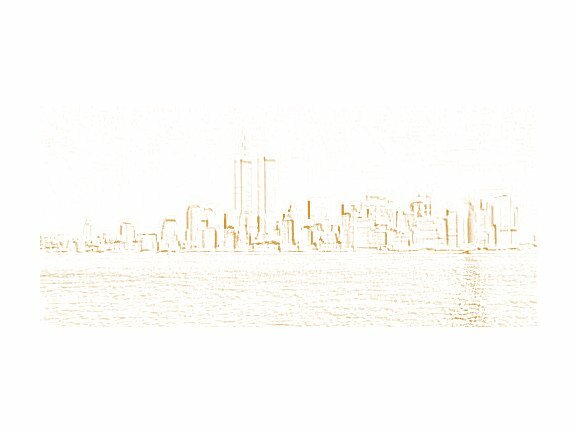 The events of 9/11/01 affected not just Lower Manhattan, but the whole United States, and much of the world. It is impossible to visit this area now without thinking of that tragic day. This combination map, walking-tour guide, and wall poster includes 9/11 as part of the history of Lower Manhattan. This neighborhood has experienced lows, but it has also witnessed some of America's greatest moments: the Revolution, the creation of the Constitution, and the birth of the first modern democracy. Here monuments, museums, and historic buildings remind us of the freedom we enjoy, the wars we fought to defend our liberty, and our proud history as a refuge for the oppressed and downtrodden. In Lower Manhattan, one can marvel at the wonders of engineering and see the ongoing strength of American capitalism. This is New York's oldest neighborhood. Its inspiring past assures its future. Each CultureMap explores a specific New York City neighborhood, focusing on the people and places that have made that neighborhood famous. The front side of each publication features a beautifully illustrated pictorial map done by a well-known artist. The backsides provide the itinerary for a neighborhood walking tour that has been carefully researched by a team of educators. CultureMaps are designed for scholars, tourists, locals, students and others interested in history and culture. The maps are available in both a folded format and as unfolded posters suitable for framing. By Ephemera Press Few places are as rich in art and cultural history as the New York City neighborhood of Harlem. This map-poster-guide shows the homes, nightclubs, churches and other sites associated with Harlem's writers, artists, musicians, thinkers, and political leaders. Featuring portraits and drawings of buildings and streets, this illustrated map makes a beautiful poster suitable for framing. The back of the map provides addresses and an easy-to-follow walking tour of Harlem. Ephemera Press� �Harlem Renaissance Map� has been approved by The New York Board of Education for use in Intermediate and Secondary Schools. By Ephemera Press While New Orleans may boast that it is the "birthplace of jazz," New York City's borough of Queens has its own proud claim: it has been the "home of jazz," the residence of choice for hundreds of the music's leading players. The award winning Queens Jazz Trail map (originally commissioned by Flushing Town Hall) shows the different neighborhoods and sites that are part of this hidden jazz history. Featuring portraits of jazz greats and drawings of their houses, this pictorial map makes a beautiful poster. The back of the map contains a short history of jazz in Queens; the addresses of homes once occupied by jazz musicians; and sites of current interest to jazz fans. By Ephemera Press For over half-a-century, the East Village has been ground zero for bohemian and avant-garde culture in New York City. This illustrated map spotlights the writers, artists, musicians, actors, entrepreneurs and political leaders that have helped define new directions in American fine arts and popular culture. Featuring caricature portraits and accurate renderings of buildings and streets, this pictorial map makes an entertaining and educational poster. The back of the map provides addresses and an easy-to-use walking tour of the neighborhood. By Walter J. Alliancedt Parents, grandparents, teachers, and tourists will find everything they need to treat their children and themselves to a vast variety of great cultural experiences in New York City by using the Kids Culture Catalog. More than 225 illustrated entries on art museums and historic houses; parks, botanical gardens, and zoos; libraries and performing arts centers. Charming photographs, line drawings, maps, and icons. Organization by borough, focusing individually on the Bronx, Brooklyn, Manhattan, Queens, and Staten Island. General descriptions plus details such as hours of operation, fees, travel directions, and special opportunities for families, schools, and other groups. Visiting museums with your children can be fun. Really! The authors of The Cool Parents Guide to All of New York offer tips on tackling the Metropolitan, MOMA and the other big ones, and discover nifty new locals like the Police Academy Museum, the Lower East Side Tenement Museum, New York Unearthed, and groovy downtown art museums. By Annie Campbell A book that will appeal to adults as much as to children, The New York Coloring Book offers a whimsical look at touring the Big Apple. Thirty ready-to-color drawings show the Beebledorf family visiting New York's most famous landmarks. On their visit, Mr. Beebledorf dreams he floats to the top of the Empire State building, daughter Lucy longs to be a Metropolitan Opera star, and son Henry lords it over the family with his superior knowledge of dinosaurs at the Museum Of Natural History. Mrs. Beebledorf enjoys the flower markets and the whole family loves Chinatown, Little Italy, and a ball game at Shea Stadium. A visit to the Apollo Theatre and an airplane ride over Central Park are highlights of their trip. By Randi Millman-Brown Covers New York City proper as well as the rest of the state and surrounding areas, including sections of nearby northern New Jersey and western Connecticut. From the Adirondacks to the Ziegfield Theater, here are 250 kid-friendly attractions in and around the Empire State.